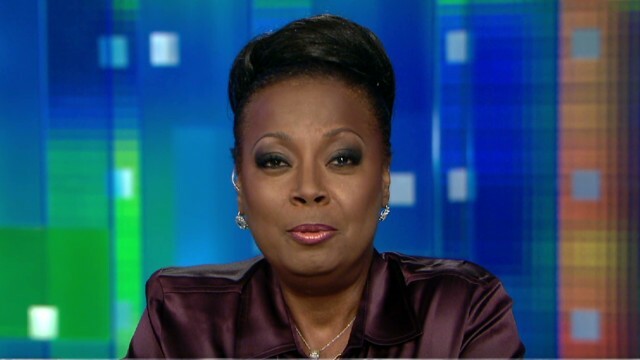 Tonight at 9, Piers Morgan will be “Breaking the News” with lawyer and former co-host of "The View,” Star Jones. 2. Star Jones thinks that even though the charges of racial discrimination brought against Paula Dean didn’t end up carrying legal standing, this doesn’t mean that the "Queen of Southern Cooking" isn't a delusional racist who fantasizes about the confederate era. 3. Star Jones believes that skin color plays a large role in dictating the national coverage. In June, she demanded media attention and support for stories like that of her friend, a young black mother named Rosaline “Rhonda” Ransom Lee, who went missing while running an errand one evening. No reports were made prior to her body being found near a lake in Pontiac, Michigan. 5. Star Jones feels that culture played a signifiant role in the Trayvon Martin case, regardless of whether or not the public wants to accept that. According to Jones, this lesson is most palpable in the context of the flagrant criticism aimed at star-witness Rachel Jeantel, whose testimony was consistent with her traditional Caribbean upbringing. For the next edition of Star Jones' candid commentary, join "Piers Morgan Live" tonight at 9. Piers – please make sure you address race in the Oklahoma shooting, just like you did with Martin in Flordia. I hope we are going to continue the conversation on race, I want the same outcry of injustice. Oh, God, Please no more racism talk....... can we all Black, White, Purple, Green, just be good citizens??? Don't steal from others..... because you won't be able to get a job if you have a criminal background, when you do get a job.... KEEP it and be thankful for having work and getting a paycheck and not living from someone else's paystub!!! Get a drivers license, drive a legitimate vehicle with a registered tag and ownership WITH current Insurance, pay your bills on time, don't fight with your siblings or other people in school or at parties and again, you won't have a criminal background and your life will be just as it should be. WE are an ungrateful country!! Let's see how most kids or people who sit back and complain about not getting this or that-go live in Siria or another country and see how thankful you'll be to have a bed to sleep in and a table to eat at! Oh yeah, and don't have the mentality just because it's around you that you have to have the newest cell phone, big expensive rims or certain brand of shoes. Life and happiness and how you treat others is more important than anything!!! You don't it and I guess they don't get it in England either, but it's taken 500yrs to get where swe should be, and their are still Idiots who want to play King???" "You should talk more about the Drunks in England, Pierse. Imagine??? Imagine if our kids in England had access to Guns?? The streets are saturated with drunks every weekend?? The police can't deal with them, so they send them home in a Taxi, they're back again in an hour?? Minutes???" "Mental health problem paid for under 'Obamacare?" I am sick of the double standard! When a person of non-color kills someone, it"s all about race. But when 3 boys of color kill a young man in cold blood for no reason, it's not. We need to start treating all of these killers as equal and restore some morals to America and it's yout. It is interesting that your discussion tonight about the shooting in OK revolves around the gun issue rather than the race issue, as it did with Trayvon Martin. From what I can see, 3 black kids killed a white guy, so why no outrage from the media, Al Sharpton, Jesse Jackson, etc? The guns aren't the issue - the issue is why these kids have such a low value of human life. What does it say about our culture? No hate crime, no race talk....sad that star doesnt bring this up. Let me guess, these children are victims and the system failed them therefore we must understand why they kill. I also want affordable health care and I am white! I want a better job and I am white. I want my child to get college grants and I am white. All of the above are denied to me...and I am white. Enough with the reverse racism already.. And black people kill more white people than the other way around. I am white and feel that racism is against white people now and most of the time the other race just assumes we don't like them for their color which is reverse racism. Star Jones is racist. I 'm a average person with an average job. I have never heard any one say anything about the President's wife race. That includes people I work or socialize with, nor in the media. Let's call it what it is YES there are racist white people, but there is also racist black, brown, yellow, and red people. Lets' stop acting like it is one races problem. It does not matter their race they are all just ignorant people. I am so loving #Star Jones on your show!!!! Now I watch you more often! Keep bringing her on!!! Just finished watching the Star Jones interview... What the heck Pierce. How can you and every other "Reporter" sit there and be so one sided but then complain about other people being one sided? You are a hypocrite and for Star Jones (Who I used to have the utmost respect for) to sit there and talk about how the Nation is racist and somehow the "White Man" is holding the African American community down and in poverty but not even point out the fact that a white teen was killed be 3 black teens completely turns my opinion on her. And for her to just piggy back off of that and start bringing up all the blacks murdered in numerous other cities of America instead of addressing the fact that this could have very well been a racist act against a white man is foolish. Star Jones I am very disappointed in you. Racism is a two way street, but when have you ever heard of a white man being a victim of racism? How about the white boy that was BRUTALLY beaten by 3 black boys on a school bus in FL? That fell off of the media faster than a squirrel on a surfboard. It's absolutely ridiculous. The mindlessness,of blaming the gun that those dregs used to murder that young Australian ....Never once was it mentioned that those thugs had that gun illegally and the same with the wacko who barricaded himself in that elementary school today, he illegally had that rifle...If anything this should prove that gun control doesn't work,and gun control only infringes on the rights of the law abiding citizens...Criminal thugs and wacko's don't obey laws ...period. Enough of Morgan and his biased and twisted agenda...It's time to ship off fat boy....GO HOME. Piers keeps asking the same people the same question..."What's wrong with America?" Youth are trying to tell us by their behavior but we are not listening. I have worked in high crime neighborhoods for 36 years and written 4 crime prevention books. Ask me, I will tell you what must change to stop violence behavior. Oh yes, the solution is not about race or guns! How dare you have Star Jones on the show give her one-sided perspective and divert the conversation to racism in America?? I couldn't believe what I was watching. This show lost all credibility tonight. Star sounds so hateful to whites it makes me sad. She sounds like some whites who hate blacks. Its not about color its the job they do. Our leaders are not doing there jobs. Mitt would have done a better job he knows jobs. We need jobs. Zimmerman was attacked the kid on the bus was attacked the kids the shot that man. Keep telling them they are not to blame. Its zimmerman getting out of the car the kid shouldnt turn them in the jogger shouldnt have been there. Unless you stand up and fight for the rights of young black Americans to live to their fullest potential you are doing them a disservice, always giving them excuses for their behavior. Realize that hard work, self importance and the love of your fellow man will get you ahead, not blame, indignation in the form of hand outs and hatred. CNN stop taking away from these young men of color and give them some dignity, work, and freedom to make their own way. Let them be proud of who they are, give them good jobs, NOT HAND OUTS!!! Ugly B l a c k B I T C H ! ! !